As a renowned organization, we are engaged in offering a wide range of Vermiculite Powder to meet the needs of our customers. Our range is highly appreciated by our esteemed clients for the unique features such as high quality and smooth finishing. 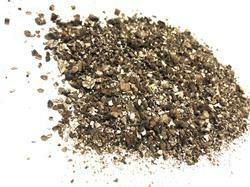 In addition to this, Vermiculite Powder is offered at reasonable rates. We offer Raw Vermiculite to the customers, at the most cost-effective rates. Our Raw Vermiculite is used in a multitude of industrial sectors for a variety of purposes. We offer Raw Vermiculite to the customers in customized packaging after duly testing it under strict quality conditions. 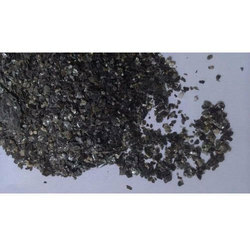 Raw Vermiculite is golden brown, greyish black and reddish brown in color. Vermiculite owes its commercial utility because of the property of exfoliation on heating. Its low bulk density, high refractoriness, low thermal conductivity etc. makes it satisfactory for many uses. Raw Vermiculite has a wide industrial usage. We are engaged in offering Pure Raw Vermiculite across the nation. We process and package Raw Vermiculite in tidy environment to keep it free from any kind of impurity. Our Raw Vermiculite is available in fine-grade packaging for easy handling. We are the manufacturer & suppliers of RAW & EXFOLIATED VERMICULITE in different sizes.